Testimonial of the change in spirit and momentum, leading winemakers in Cyprus openly recognize how proximity to grape growing has transformed Cypriot wine. 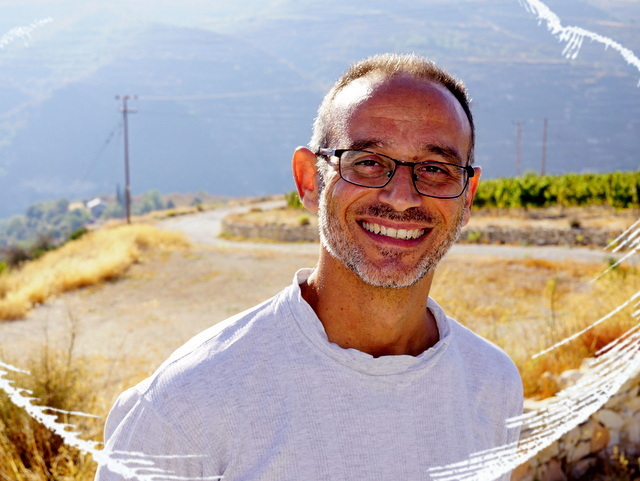 In a recent interview, Sophocles Vlassides, owner and leading winemaker of Vlassides Winery, attests how this singular change has transformed the model for Cypriot winemaking and the quality of wine which can be found on the market today. Until now, unfortunately for us, the wine industry has placed more emphasis on quantity than on quality. They produced large quantities, sent as bulk wine abroad.Today, fortunately, the majority of Cypriot wine is bottled, it has a name and it improves noticeably day by day. Pictured: Sophocles Vlassides at the foot of vineyards in Kilani.